• Resurgent US bond yields keep a lid on any meaningful up-move. • Fading safe-haven demand further adds to the downward pressure. • Downside remains limited amid the ongoing USD retracement slide. After an initial uptick to $1303 area, Gold met with some fresh supply and has now drifted back into negative territory. The precious metal, for the second consecutive session, struggled to hold on to its gains beyond the $1300 round figure mark and remained capped below the very important 200-day SMA. Renewed optimism over the US-North Korea summit and signs of some progress in the US-China trade talks, to some extent, helped offset the latest political uncertainty in Italy and dampened the commodity's safe-haven demand. This coupled with a strong upsurge in the US Treasury bond yields further dented sentiment surrounding the non-yielding yellow metal and collaborated towards keeping a lid on any meaningful up-move. 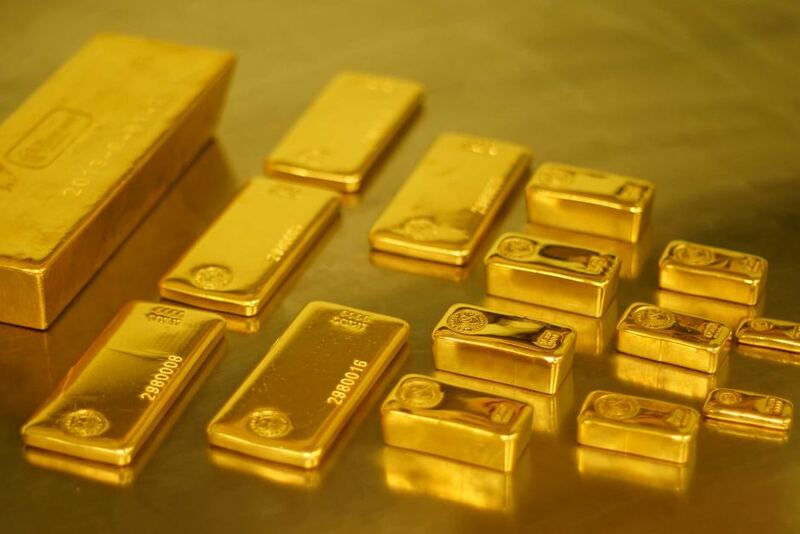 Further downside, however, remained cushioned amid the ongoing US Dollar retracement slide, which tends to boost demand for dollar-denominated commodities - like Gold. Moving ahead, today's US economic docket, featuring the release of ADP report on private sector employment and the second estimate of Q1 GDP growth figures will now be looked upon to grab some short-term trading opportunities. The key focus would remain on Friday's official jobs report (NFP), which should help determine the commodity's next leg of directional move. The $1293-92 region might continue to protect the immediate downside, below which the metal could slide back towards testing $1287-85 support area. On the upside, any momentum beyond the $1300 mark seems more likely to be capped near $1306-07 region (200-DMA), which if cleared might trigger a near-term short-covering bounce.